Royal Baby – Silver Queen is an exclusive wrap, with a blend that will satisfy and please even the most demanding. the uniqueness of the wrap, which will undoubtedly delight you with its possibilities... ;). Royal Baby – Silver Queen wrap contains: 35% mercerized merino wool, 34% mercerized combed cotton, 16% combed cotton, 15% cashmere, woven out of the finest quality yarn with Oeko Tex Standard 100 ®. for use right after getting out of the box. 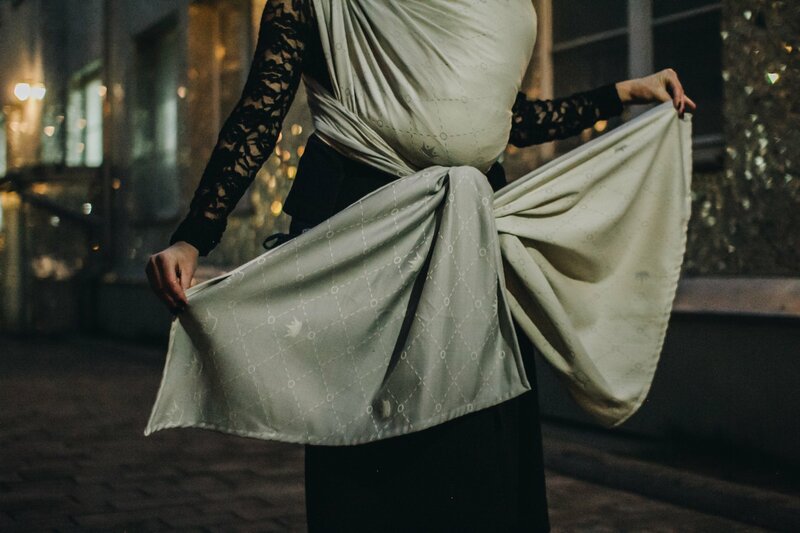 Royal Baby – Silver Queen wraps are soft, delicate and fluffy, just in order to carry and comfort your little baby, and durable and strong to comfortably wear the toddlers.